Alresford Golf Club is located in New Alresford. Set amidst the tranquility of nature and away from the hustle of city life, this is surely a unique venue. It offers extensive facilities for hosting your next function or event. 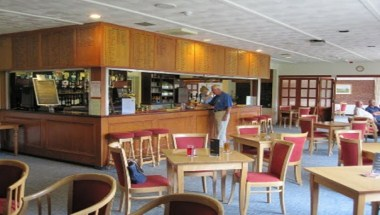 The Clubhouse provides changing rooms, a good sized bar area, two dining rooms which can be separated if necessary and a patio area overlooking the 18th green. The relaxed and friendly atmosphere allows Members and guests the opportunity to reflect after their golf and enjoy the views across the course.